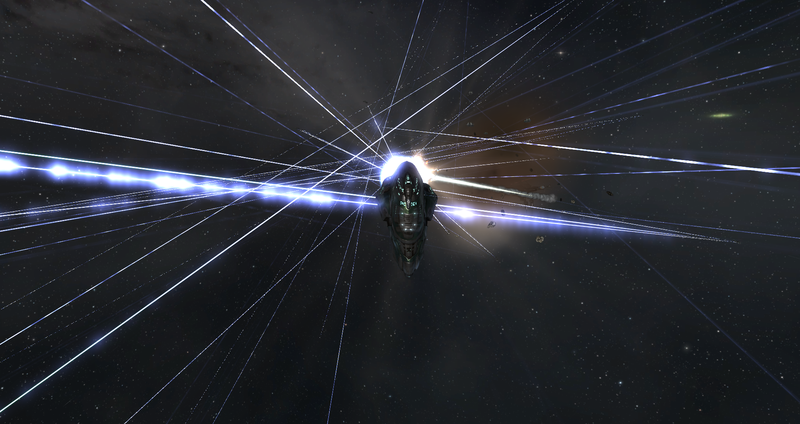 This is the first of a three-part opinion series where I will look at my experiences of PvE in EVE Online, suggest where and why it is broken and stagnant, how to improve it for players in highsec and finally how to improve it for players in nullsec. When push comes to shove, I’m a carebear. Despite spending, what is now the majority of my six-and-a-half years in New Eden, living in nullsec, I am still a carebear. Don’t get me wrong, I’m more than happy to jump into fleets regardless of their size, I even enjoy fitting up random frigates or destroyers and hunting for targets in nearby Factional Warfare space. But the majority of the time I’ve spent logged into EVE Online has been spent missioning, mining or farming NPC’s for ISK in nullsec anomalies. As something that is such an integral part of the game both for new players and old alike, PvE needs to be challenging, it needs to be engaging and most importantly it needs to be fun. Missions as they stand have become, for most players, a case of pick up mission, tab to eve-survival or similar, read up on the triggers and refit hardeners and ammo as appropriate. Eve-Survival, every mission at every level listed alphabetically. From that point it’s simply a case of warping in, killing everything in sight and managing the DPS by deciding when to trigger the next wave, before handing in the mission and collecting the LP, ISK and standing boost. In the case of nullsec anomalies, it’s even easier. Where I live, in Fade, all a player needs to do is warp his or her Ishtar into any Forsaken Hub, drop heavy drones and hit orbit. From that point on you can nip to make a coffee or grab a beer, returning in 15 or so minutes to a fatter wallet and a field of wrecks; occasionally your own wreck if you’ve missed that roaming gang that popped up in Intel channels – but you make enough ISK to not have to worry. Despite a number of frigates warp scrambling my Ishtar, I’m in no danger. This style of gameplay, something we all likely do at some point or another to bring in ISK, is boring and stagnant and is often the biggest reason I, and I imagine others, take breaks from the game. I imagine it is also a big factor in player retention. I started playing just days before the introduction of Sleepers and wormholes in the Apocrypha expansion, arguably the largest PvE content expansion to date. The Sleepers themselves provided a challenging new PvE experience for players. They were new, they reacted unpredictably and they had no one weakness that could be exploited like standard faction pirate NPCs. The unpredictability went away as players worked to understand exactly how the Sleeper AI worked; while we may not fully understand every aspect of it, we have removed the challenging element of the sites and are now able to farm wormholes in the same way players farm missions and the long-since removed DED lowsec beacons. Sansha Incursions, introduced in late 2010, built upon this more complex AI and brought it to known space for the first time. The Incursion expansion brought the new AI to known space. As with wormholes and Sleepers they initially brought a new challenge to EVE Online – I even remember the day they were introduced, travelling 20 or so jumps in my active-tank Brutix and diving headfirst into one of the sites without any sense of what was going to happen. There was no fleet, no organisation, just players wanting to try out the new PvE challenge. I died … quickly. As did dozens of others in that site. Sansha were just able to alpha most of us off the field. However, as players, we mastered the Incursions. Nowadays we have large groups, like The Valhalla Project, running organised, fast-paced fleets with specific fits, logistics and T3 boosters to farm the sites and bring in ISK. Through player skill we have removed the challenge from Incursions. Recently, when Sansha decided to set up shop in my corporation’s home system, my prior experience – despite being two years previous – was enough to whip ten players with no experience of Vanguard sites into a fleet and farm the system without so much as second thought. While running the sites with my corporation Applied Anarchy was enjoyable, that came from the purely from the social interaction with other players, not from the gameplay itself. Sansha Incursions, which from what I can understand, were designed to provide fun, challenging group content are now no longer fun or challenging. The day this point hit many years ago, the point at which players were able to farm the sites with ease, should have triggered a process at CCP to remove them from the game – perhaps to be replaced with another faction and a minor tweak to the AI to keep them fresh. So why do players put up with this stagnant and boring PvE experience, a question I put to my nullsec-based corporation, Applied Anarchy. The first response, from t3hwarrior, sums up quiet accurately what the majority of nullsec players think. In short, nullsec players only run anomalies to get ISK, so they can PvP – it’s a means to an end, and it’s understandable. The majority of people live in nullsec take part in PvP on a weekly, if not daily basis. But for the countless thousands of players that log on everyday PvP is not something they want to do, so they live in high security space. 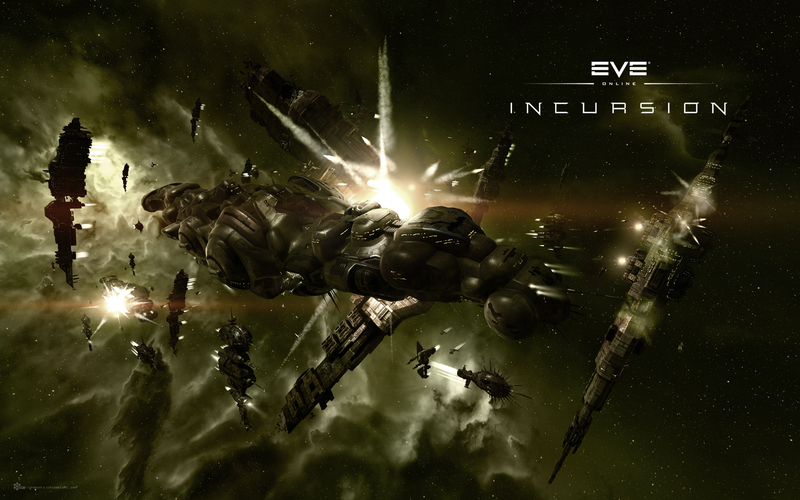 They want to run missions, to experience EVE’s PvE content and importantly have fun. Many are not, and personally I link this stagnant PvE system to the recent decline in active players and the drop in average weekly PCU (Peak Concurrent Users). Youtuber Roxanne Le guin takes on the Sansha Burner in a Vengeance. 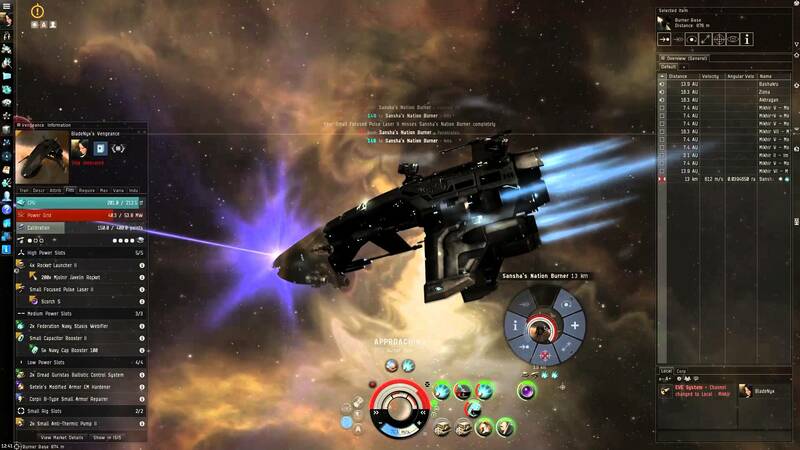 While the introduction of Burner Missions in 2014 and the recent re-launch of the Drifter Incursions in Amarr space are a step in the right direction for CCP and EVE Online, the key has to be an active development team watching what we, as players, are doing and how we are adapting to these new challenges. So what could CCP do to fix the experience and make it more enjoyable but still challenging? In my opinion, a drastic slate wiping is needed and this revamp needs to start in highsec. Every mission needs to be removed and replaced with a new system that features scalability – the more people you bring to a mission, the harder it gets, and the quicker and more efficiently you complete a mission influences how hard the next mission you receive will be. They need to be dynamic and unpredictable. Missions like we have now involving warp to point and kill a specific faction need to go. There needs to be a sense of unknown and randomness to the missions. The fact that something along these lines was discussed by CCP Affinity during a roundtable at EveVegas is reassuring. 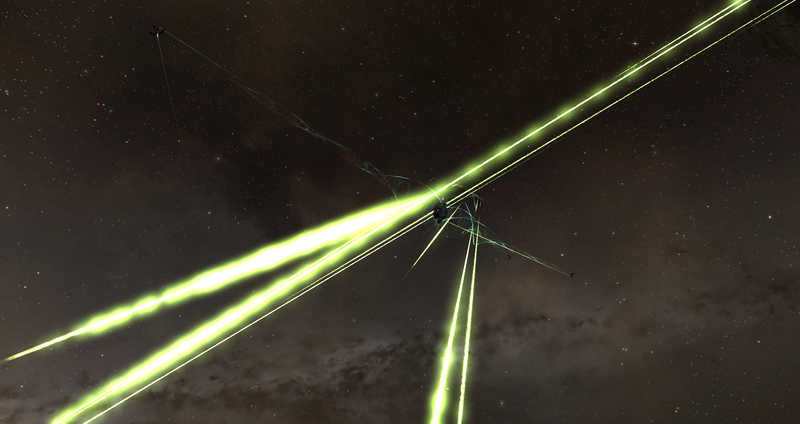 You could warp in and be faced initially with Blood Raiders, before a force of Angel Cartel ships warp in at 0. 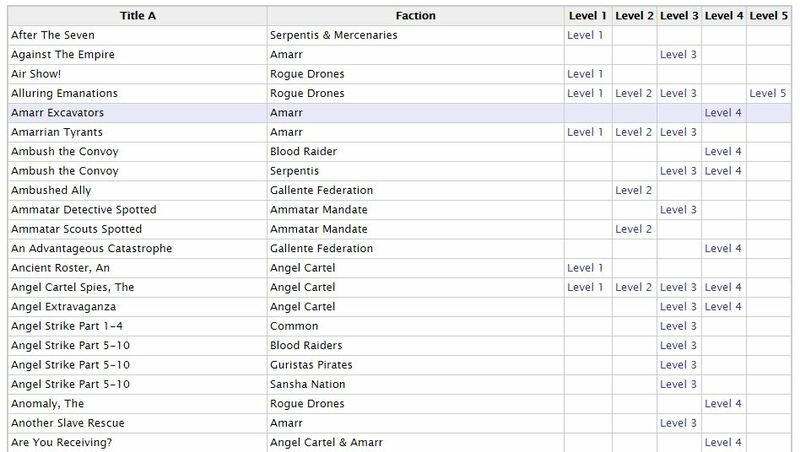 Deciding to keep focus on the Blood Raiders, refit and take up arms against the Angels or just kill everything on field, should result in differing rewards and a differing story chain for you to follow. The exact details themselves are worthy of an entirely separate blog and something that I will tackle taking ideas from around the community and approach in Part 2. PvE content in this game should not be farmable, it should not be easy. EVE, after all, has a reputation for being a hard game for those that want a challenge. CCP needs to make sure it lives up to this reputation.